Previously a heaven in the city for hungry Thais. 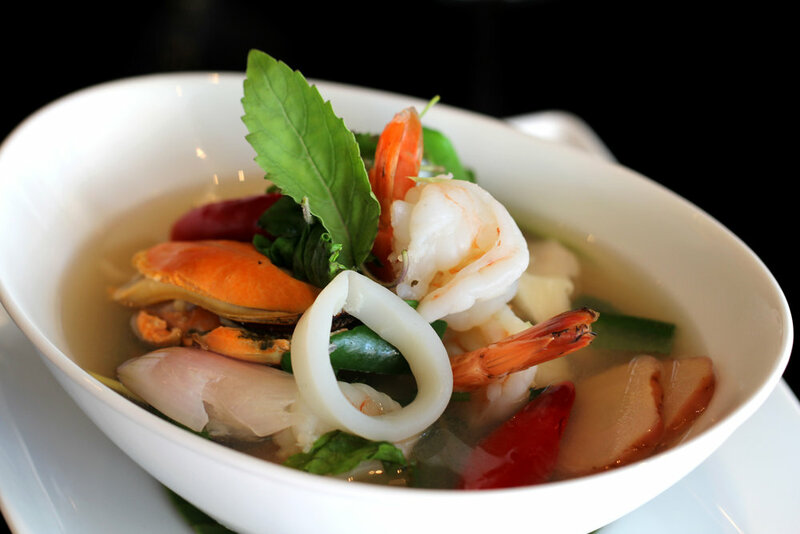 Since all the food critic's reviews and awards now a major experience in Thai Cuisine for everyone. What other Sydney eatery has queues waiting to enjoy the food. Take your wait staff's recommendations on seasonal specials. Chef Sujet will often find something fresh and interesting at the markets and create a dish to remember. Co-owner and Executive/Head Chef Sujet Saenkham was born in a remote village in Ratchaburi province in Central Thailand. His mother is the daughter of the Kamnan (head of the local government sub-district Tambon), for that province. Sujet learned many of his skills as a chef first hand from his mother, who catered for many of Thailands important officials and delegates. The families cooking skills were well renowned and admired by all those who were privileged or lucky enough to taste their food and these skills were passed on to Sujet in the family tradition. 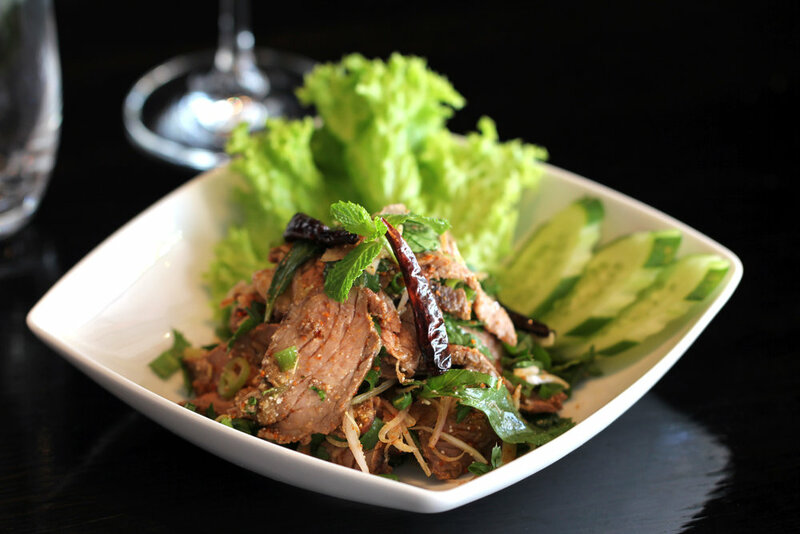 Sujet Saenkham is the leading innovator of authentic Thai cuisine and is today regarded as Sydney's most talented Thai Chef. Sydney food critics from The Australian's John Lethlean to the Daily Telegraph's Simon Thomson are lovers of the pungent fresh flavours found in Sujet's food. Dishes like the fabulous Massaman Curry Duck and traditional Thai Egg Plant Stir Fry with garlic and shrimp paste are hot favourites with many customers. Sujet's team of chefs have been carefully trained to prepare hand made spices and pastes as every dish delivers the ultimate in freshness and flavour. Sujet over sees all the kitchens to ensure that the quality and integrity of his dishes is maintained. Sujet travels to Thailand on a regular basis to keep up with the latest cooking trends. He cooks for VIP dinners and sources fresh inspiration and exciting new ingredients for the kitchens of the Five Sydney restaurants. We now accept all major credit and debit cards. BYO available. No reservations.